If you are willing to present a phone, laptop, or a tablet as a gift to your friend, relative, or colleague, you can personalize the headphones to express your creativity and love. I am a big fond of gifts which are personalized. You can easily personalize the new headphones of the phone or tab your presenting with some masking tape and nail polish. It would be even better if you have got some nail polish colors that you do not use quite often. You can use that in this project. So, let’s start it now. 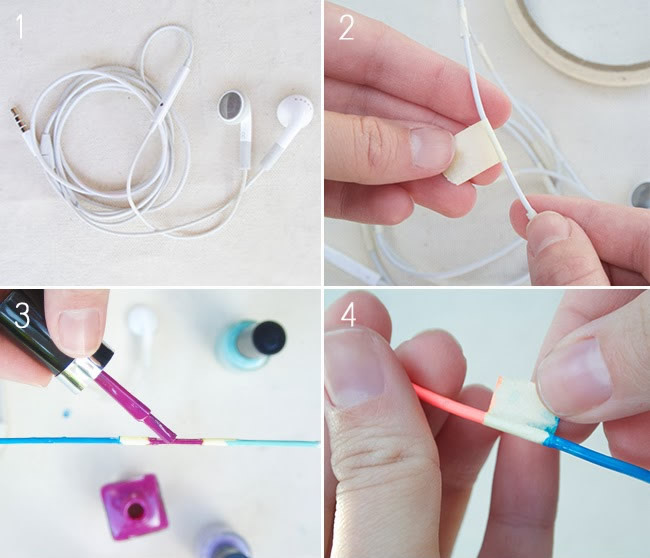 Use the masking tape to tape off different pieces of the earphone. Apply the tape at a certain distance, ½” would be better. Apply the tape tightly so that no nail polish can slip through it. Use two clothespins and hang the headphone in-between them. Thus you can conveniently paint across the whole wire. I used two vases to hang my headphones. Now is the time to apply the nail polish. You should pick nail polish colors that look impressive when applied together. 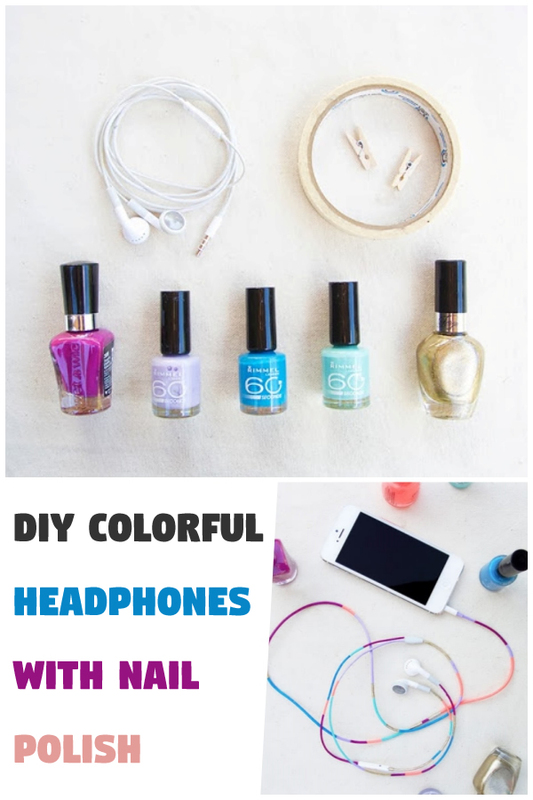 So, start painting the exposed parts of the headphones with different colored nail polishes and then let the nail polish dry. Now remove the masking tape you had wrapped. Before that, you would like to make sure that nail polish is not tacky otherwise it will seep through. So, you should first check the nail polish is dry and then remove the tape. Now paint the unpainted parts of the headphones. You will have to be careful this time because you cannot apply tape over the colored portions because it may peel off the nail polish. Apply a thin layer of clear nail polish to seal the applied colors and you have done it. A few easy steps and you will get a personalized colorful headphone to present as a gift.